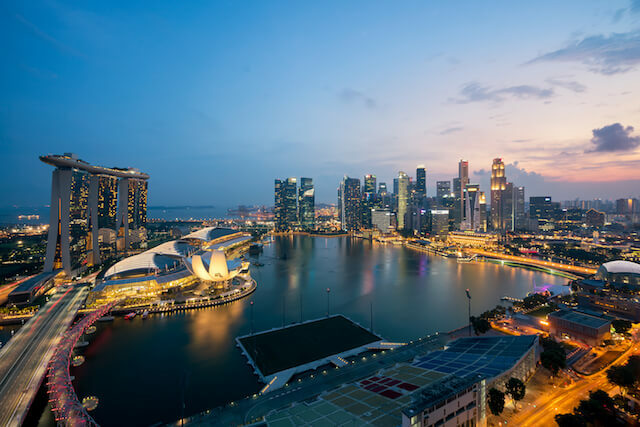 Singapore has one of the most attractive real estate markets in the world, especially for foreigners. Expats will often choose to stay in condos during their stay in Singapore, and this includes both renting for shorter to mid-term stays and purchases for longer stays. While the price of the condos plays a significant role in influencing buyer and renters’ decisions, there are still other factors that will come into play. Those with young or older children have different needs from those who are single or married without children. In Singapore, there are many great condos that you can choose from to suit your specific needs. The Marina One Residences, for example, is a mixed-use development and offers a variety of units ranging from one to four bedroom units, penthouses and commercial towers. Condos in Singapore vary in pricing, and the reason behind the variation is usually due to factors like space or convenience. The most common need is space, as most people want a spacious unit that does not feel congested. Hence, condominiums that is spacious and located in convenient locations are more expensive than condos in remote areas. Marina One Residences is located at Marina Bay Sands and is close to tourist attractions like Garden by the Bay and the Esplanade. Families can spend their weekends together and pass the day by exploring such attractions. Amaranda Gardens is a family-friendly condo as it is spacious and is located close to Lorong Chuan MRT. Apart from having one of the most popular family friendly environments, it is also conveniently located near some international schools. The Caribbean on Keppel Bay is also popular as it not only has a playground and a basketball court but is also close to five schools and is less than a kilometre away from Harbourfront Center. Such condos usually offer playgrounds and proximity to schools. If you have school-going children or teenagers, condos with the above amenities may be suitable for you. However, families with a newborn baby or toddler may prefer to live in condos that have more amenities for children, like having a stroller-friendly environment. The Marina One Residences will be suitable for families as it has a children’s play area, 50-meter lap pool and 3 and 4 bedroom units to choose from. Depending on the size of your family and duration of your stay, there are many great condos in Singapore’s various districts to choose from when it comes to renting. For those that intend on buying a condo, it will be best to seek the help of a property agent to view the Marina One Showflat location.